Steinhoff's CEO has named the eight main suspects in the company's fraud investigation. They are: Markus Jooste, Stehan Grobler, Ben la Grange, Dirk Schreiber, Siegmar Schmidt, George Alan Evans and Jean-Noel Pasquier. Many of them were apparently involved in suspect Steinhoff deals that were used to make the company appear more valuable than it really was. In parliament on Tuesday, Steinhoff CEO Louis du Preez named eight people who have been fingered in the PricewaterhouseCoopers (PwC) report into fraud at the company. 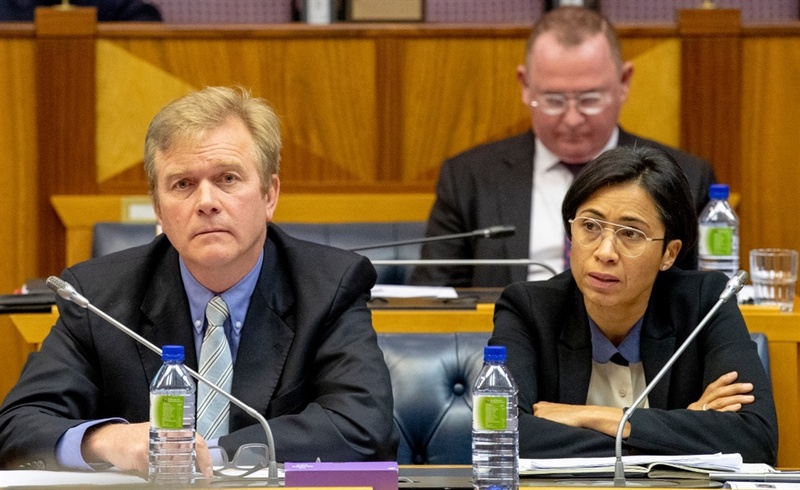 Du Preez revealed the names after a grilling by MPs, who were not happy about his insistence that the full report won't necessarily be released to South Africa's Financial Sector Conduct Authority. Finance committee chairperson Yunus Carrim ordered Du Preez to share the names of those accused of the most serious offences. After taking legal advice, Du Preez eventually caved in, naming Markus Jooste, Stehan Grobler, Ben la Grange, Dirk Schreiber, Siegmar Schmidt, George Alan Evans and Jean-Noel Pasquier. PwC found that a "small group" of former executives and outsiders inflated the company's profit and asset values for years, according to an overview of its report, released on Friday. The deals were valued at more than €6.5 billion. 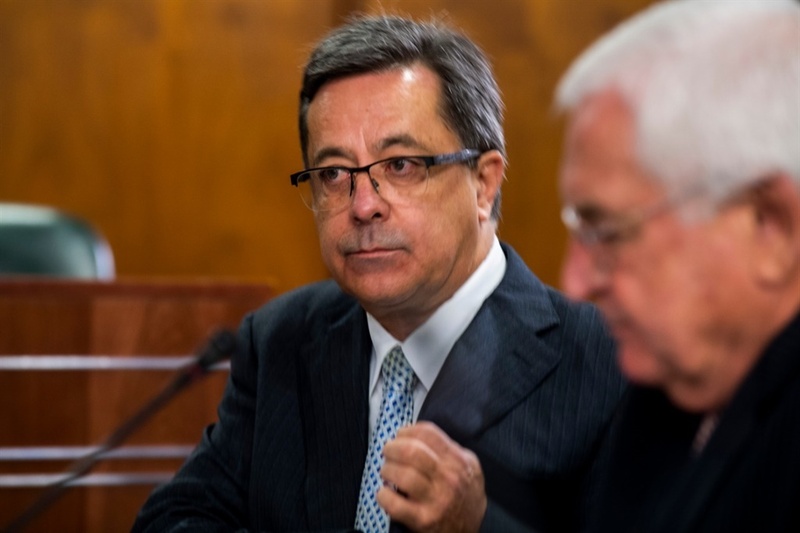 Steinhoff did many transactions with companies that were supposed to be independent third parties – but secretly had strong links to Markus Jooste. These deals made Steinhoff look much more valuable and profitable than it really was. Many of deals involved these companies buying things from Steinhoff, like trademarks. The prices of these deals may have been inflated, and on top of that, Steinhoff gave these companies massive loans to buy its own assets. Steinhoff listed undertakings from these companies that it will pay back these debts as so-called “cash equivalents” on its books, which made Steinhoff look more valuable. These "cash equivalents" would also be moved between different Steinhoff units and other “independent” companies, and would be valued differently every time. The PwC investigation found a "pattern of communication": the senior executives would instruct a small number of other Steinhoff executives to execute instructions, often with the assistance of a small number of persons outside of Steinhoff. A chartered accountant, who briefly worked at SARS, Jooste ran the couch company Gomma-Gomma in Ga-Runkuwa before linking up with German furniture entrepreneur Bruno Steinhoff in the 1990s. Steinhoff's eponymous company merged with Gomma-Gomma in the late 1990s, and the new company was headquartered in South Africa. 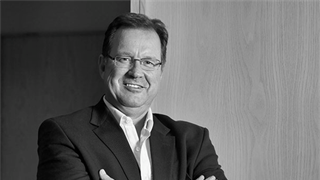 Under Jooste as CEO, the company expanded throughout the world - eventually buying one of SA's biggest retailers, Pepkor, the UK chain Poundland and the biggest mattress company in the US, Mattress Firm. But it all came crashing down amid concerns about the company's financial statements, forcing Jooste to resign in December 2017. He starting doing legal work for Jooste in the 1990s, and worked on the Gomma-Gomma/Steinhoff merger, according to a Bloomberg report. 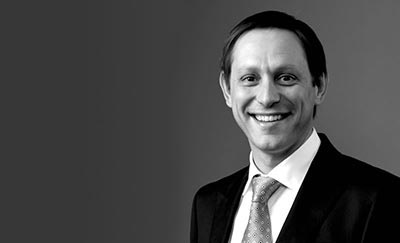 He was appointed to various positions in Steinhoff over the course of two decades, including company secretary, head of legal and director of treasury and financing. Grobler was involved in a number of controversial Steinhoff deals - apparently also as part of the counterparty. For example, according to Bloomberg, he was company secretary of Malenge Sawmills (eventually known as Kluh), which sold assets to Steinhoff. "That company was involved in selling forestry assets and car dealership properties to Steinhoff at many multiples of their original value from 2001 to 2007, which coincides with the period that Grobler was acting as company secretary," Bloomberg noted. Schreiber, a German national, was previously the chief financial officer of Steinhoff Europe. Steinhoff fired him last year. From the initial PwC report it is clear that much of the creative accounting centred in Steinhoff's European unit. According to his LinkedIn page, Schreiber studied at the University of Göttingen in Germany and started working at Steinhoff in 2002. 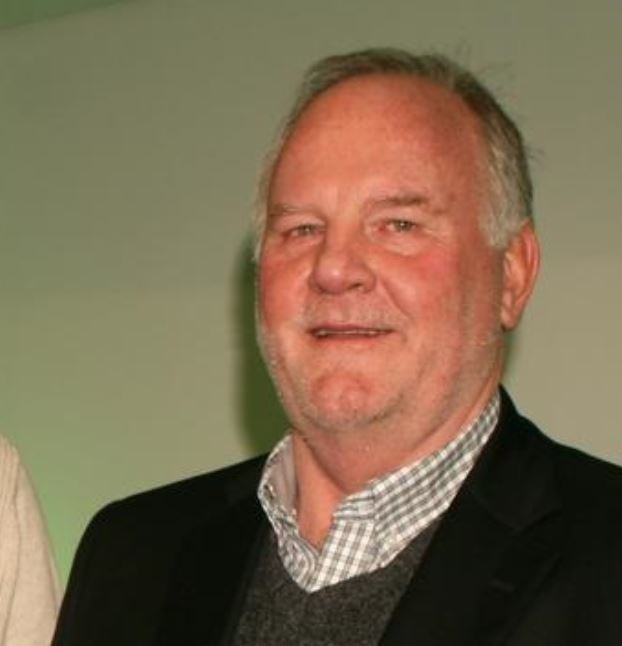 Famously paid R50 million a year to serve as CEO of Steinhoff Africa Retail (Pep and Ackermans), La Grange was also the chief financial officer of Steinhoff at the same time. He is a chartered accountant who did his articles with PwC. He joined Steinhoff in 2003 as a corporate tax manager, and after various positions in the company, joined the executive. 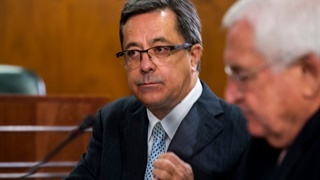 In parliament last year, La Grange blamed Jooste and Deloitte for the retailer’s accounting scandal, saying he became aware of any wrongdoing only days before the crisis erupted. Schmidt is the former head of finance of Steinhoff in Europe. He was one of the launch partners of Campion Capital five years ago. Campion and its subsidiary Fulcrum have been singled out in the PwC report for suspicious transactions with Steinhoff. For example, Campion subsidiaries bought the microlender Capfin, which supplied loans to Pep clients, as well as the consumer finance arm of JD Group – which handles all credit transactions for Joshua Doore, Russells and HiFi Corp – in transactions associated with Steinhoff. The 68-year old former banker, who apparently is a resident of the tax-friendly Channel Islands, helped Jooste and Bruno Steinhoff to structure their offshore holdings. Last year, the Financial Mail chronicled how Evans, who started his career with Citibank, structured various suspect deals involving Jooste. Eventually, Evans became "senior partner" (as Jooste put it in his parliamentary testimony) of the controversial Campion Capital. The 39-year old French accountant was a director of Campion and Fulcrum, and apparently currently resides in Geneve Switzerland.